You already know your royalty when you place your ad. You can cap your average CPC by setting a modest bid. But you won’t know your SPC conversion rate until you’ve invested money in an ad. From running 14 different ads, I see firsthand that it’s reasonable to attain an SPC conversion rate of 4 to 10%. A few other authors, including one who shared a screenshot, have shown that it’s possible to achieve an SPC of 10 to 20%. My feeling is that 20% will be quite rare. On the other side, I’ve seen data for SPC’s of 1% or less. The third point can have a huge impact. If customers glance at your tiny thumbnail and expect one thing, but find something different on your product page, this will kill your SPC. The second point you can control through a wise choice of product targeting (not necessarily books). What matters most for your SPC is how well the target audiences of the selected products fit your book. But you must weigh this with how frequently you wish to make impressions: If the targeting is too precise, your ad might struggle to get impressions. EXAMPLE 1: Your book earns a royalty of $4.20. Your average CPC bid is 25 cents. Your SPC is 5%. Your short-term ROI = $4.20 x 5% / $0.25 = 84%. This example has a high royalty, a modest bid, and a decent SPC. EXAMPLE 2: Your book earns a royalty of $2.10. Your average CPC bid is 25 cents. Your SPC is 5%. Your short-term ROI = $2.10 x 5% / $0.25 = 42%. If you earn a lower royalty, you either need to have a high SPC or bid lower to make up for it. EXAMPLE 3: Your book earns a royalty of 34 cents. Your average CPC bid is 10 cents. Your SPC is 10%. Your short-term ROI = $0.34 x 10% / $0.10 = 34%. Here we have an excellent SPC and a lower bid, but that 34-cent royalty is the killer. The lower your royalty or the lower your SPC, the lower you should bid. This tells you the maximum CPC bid you should place if you want your short-term ROI to break even. You need to have some prior experience to properly estimate your SPC %. EXAMPLE 4: Your book earns a royalty of $2.10. Your SPC is 5%. In this example, a bid of 10 cents is safe (provided that your SPC turns out to be what you expect). Not getting enough impressions? So what. With a safe CPC, you’re not losing anything (again, assuming your SPC is reliable; that’s a big IF, but you can monitor your ad and pause or terminate it at any time). This basically works out to free publicity, with possible long-term benefits. I’m not going to bore you with complete data from all 14 of my ads. I’ll share what I believe may be helpful. My original ads had click-through-rates (ctr) of about 0.1% to 0.2%. After becoming more experienced with product targeting, my most recent ads have ctr’s of 0.4% to 0.9%. My last two ads are 0.85% and 0.90%. The ctr doesn’t matter directly, since you pay for clicks, not impressions. Your impressions are free. However, better targeting will make your ad more cost-effective, so your ability to improve your ctr is one step toward getting the most out of your ad. It’s not uncommon for online advertising to yield a ctr of 0.1%. Most of my ads have done much better than 0.1%. That’s a plus for AMS, though of course it will vary by genre and by book. Not all books will achieve a ctr higher than 0.1%. But the potential is clearly there. Several of my ads have a sales-to-clicks (SPC) ratio of 4%. My highest is 11%. I’ve heard from a few other authors who’ve done better (upwards of 20%); one shared a screenshot. I’ve also heard from authors who’ve done worse (1% or lower). SPC conversion rate is highly sensitive to targeting and packaging. Some books won’t get 1%. But 4% to 10% (or more) is attainable. One reason my SPC may be under 10% is that my books tend to sell more often in print than in Kindle, and my print sales actually improved during the ad. Thus my short-term ROI may be better than it seems. My recent average CPC bids have ranged from 25 to 35 cents. A week or more ago, these were around 50 cents. I’ve heard from other authors who also see their average CPC’s coming down. The value does depend strongly on genre or subject, as well as targeting. But in general, it seems to be coming down. This is expected, as there was a bidding frenzy in the early weeks, and it’s probably fizzled out to some extent. The bids may continue to come down, a nice reward for those who have exercised patience. Remember, Amazon’s recommended CPC bid is 5 cents. I predict a day will come when that 5-cent bid can generate a decent impression rate, or at least a 10-cent bid. One of these books sells for $5.99, so the short-term ROI is around 60%. The other sells for $2.99, so the short-term ROI is around 30%. But maybe I just bid too high. If my average CPC bid had been 15 cents, my ROI’s would have been much higher (assuming I could achieve similar results with a lower bid). However, I observed some strong side benefits during the ad campaigns, which I discuss next. My short-term ROI would actually exceed 100% if these factors are attributed to the ads. One of my books, which ordinarily sells better in print than Kindle, saw paperback sales double during the month of February. This wasn’t just double January, but double months from 2014, too. When I first started running KDP ad campaigns, I saw a bump in print sales of a few of the advertised books. Only one saw print sales double, but a few saw them improve. I don’t think it will be typical of advertised books to sell more in print. This clearly favors books that ordinarily sell more often in print. Another thing that I noticed was that for several advertised books, similar books saw an increase in sales. In the best case, I saw sales of a closely related title double in February compared to previous months. This was the most extreme case, but I saw significant improvement in many titles where a similar book had been advertised. If these two factors are due to the ads, then my short-term ROI’s on these ads actually exceed 100%. I need more data to be sure, but it’s encouraging. I don’t have a sequential series like many fiction authors have, but I have interacted with series authors who have seen sequential volumes sell much better after advertising the first in the series. It helps to already have a measure of your progression ratios. For example, R2 = Vol. 2 sales / Vol. 1 sales, R3 = Vol. 3 sales / Vol. 2 sales, and so on. This helps your sales rank, and if they are read to 10%, they also show up as borrows. Even if your short-term ROI is a loss, your book advertisement may still be profitable. It’s harder to predict and measure long-term benefits. If you can break even short-term, or at least only suffer a small percentage loss, then you have good prospects for reaping long-term rewards. If you suffer a large short-term loss, then you’re putting pressure on those long-term benefits just to break even. However, there may be situations where you have other goals, like just getting readers as a new author, branding an image, going all out for a hot promotion, supplementing other marketing, etc. In those cases, it may be worth a short-term loss for possible long-term gain. improved exposure through sales spurts, customers-also-bought list expansion, improved sales rank, etc. If you’re taking a big short-term loss, this can get stressful. It’s hard to count on possible benefits. You hope to see actual sales. It may be easier if you currently earn good monthly royalties. If you only invest a small percentage of your average monthly royalties on paid advertising, this lessens the impact of your advertising risk. When you’re a new author investing more than you’re initially making, the risk seems much more significant. An interesting possibility is running an AMS advertisement to help promote a Countdown Deal or KDP Select free promo. Two downsides of the freebie are that you don’t earn any royalties during the promo and “sales” won’t show on your KDP ad report, so you won’t know if any of your “sales” came from the ad or not. However, it’s not uncommon for authors to pay for advertising to help promote their freebies. For example, this is common with BookBub. So for those who already do this, running a KDP ad for a freebie is just another possible way to bring exposure to freebies. Obviously, your immediate ROI will be 0%. This is a big risk, but a possible way to bring exposure. Two of my advertised Countdown Deals turned out to be duds; just slight improvements to sales when advertised at regular price. But one of my advertised Countdown Deals was extraordinary, bringing 20 times as many sales during this week compared to advertising at regular price. In this case, the added sales easily made up for the lower royalty of the promotional price. Why did two show a slight increase and the other explode? Great question! I think it helps to get lucky; a few initial sales help to get the ball rolling. Once sales rank takes off, if it does, things can really get rolling with an advertised hot promotion. But if the ball doesn’t get rolling, your promotion just sits there and fizzles out before it starts. I recommend running an ad just to measure your SPC conversion rate. Divide your sales by your clicks. If this is about 1% or less, it suggests that your product page (or targeting) have substantial room for improvement. It could be the cover, blurb, Look Inside, or book idea, for example. If your SPC is 10% or higher, it shows that your book has great potential for sales, and should motivate you to work hard at your marketing, knowing that you have good prospects for selling books if you can just drive (relevant) traffic to your product page. When only 1 out of 100 customers who reach your product page buys your book, it’s a lot harder to be motivated to market. I saw another author run two short-term ads with very specific targeting in order to gauge the popularity of similar, but different products. The author was deciding between two book ideas. This was a creative way to use these ads. A terrifically informative post, Chris. Thank you. A great analysis of a new advertising option for KDP Select authors. I think I’m going to have to give it a shot! Excellent information Chris! I started out at 3% and think that I will try to bump it up to 5% for the next campaign. Will be interesting to see if it makes a difference. But you are right…if all it does is augment the other advertising, that is half the battle. When I was paying for Google Adwords, I was so diluted with just regular things out there whereas Amazon specific advertising is a lot more advantageous and targeted to the product itself. Great stuff, Chris – so very useful! You’re unusually skilled at laying out data in such a digestible way. It is so important to consider the broader and more indirect effects of exposure through advertising other than immediate sales. Thank you. Slightly off topic but still re advertising and hopefully helpful to other authors, I have 2 ads coming up: a Kindle Nation Daily ebook of the day on a Saturday (with slide over to Bookgorilla) and a 3-day banner ad on Kboards the following Thursday/Friday/Saturday. I only have one book (YA/crossover) at present. I know there’ll be several factors at play, but I can only synchronise my 99c/99p KDP Select Countdown deal on one of the Saturdays as the deal will run for 7 days and I wondered if you had any opinion on which promotional platform might yield better results at the reduced price, otherwise it’ll be $2.99/£3.59? I don’t think I’ll be able to change the book price in the middle of my Kboards banner ad. Thank you for the kind words. That’s a tough decision. Another factor is that traffic from the first promotion might benefit the second, and any improved sales rank from the first may help, too. I’m afraid I may have just complicated your decision. I wish I had a definitive answer for you. Good luck. There is something which I actually find quite worrying after going into the advertising options. You have mentioned BookBub, E-reader News Today and Book Gorilla as optional tools. As a new author I checked them out and looked at their advertising prices and policies. HOWEVER – I noticed that the cheaper the eBook version is on Amazon (especially the 0.99c range) the less you pay for advertising – A LOT LESS. No matter if the 0.99c book is NOT a discount price but the actual list price. For this they make an exception as if it is discounted. What concerns me about this is that it obviously encourages authors to drop their Kindle prices very very low. And this of course drives down the entire market and make competing next to impossible. To me this is a very negative aspect since the advertisers therefore help in encouraging excessively low eBook prices. Not good at all in my opinion. And after all the hard work I had put into my book, I find it ethically wrong to sell my book at such a pimp price. I will not prostitute my hard work. And thanks for a very informative blog. I find it truly useful. On the one hand, these promotion sites encourage lower ebook prices, but on the other hand, at least they encourage them to be temporary low prices. That is, they give compelling reason for authors not to list their everyday price at the rock bottom so that they can offer a short-term discount. In the US, there are many consumers who feel strongly that you get what you pay for, to some extent, which also impacts the pricing strategy. Thank you for sharing your comments. In other words, the way I read it, rock bottom is clearly being encouraged and supported. Anyway. Just a bit of personal opinion and healthy debate. It seems if I cannot beat them then I have to join them 😉 Thanks again. I don’t disagree that they encourage rock bottom promotional prices. What I’m saying is different. They’re encouraging authors not to have rock bottom regular prices. You can’t use these services if your book is always 99 cents, so this way authors have an incentive to set a higher list price. Thanks again – your blog is an AWESOME tool!!! Chris – impressive analysis but the one question I am really after is the average CPS (cost per sale). Have you anything on this since I think this would help much more than anything else to decide the value of advertising on Amazon my book. Thanks! Thank you. The cost per sale can vary quite a bit, depending on the CPC bid, genre/subject, and marketability of the ad and product page. 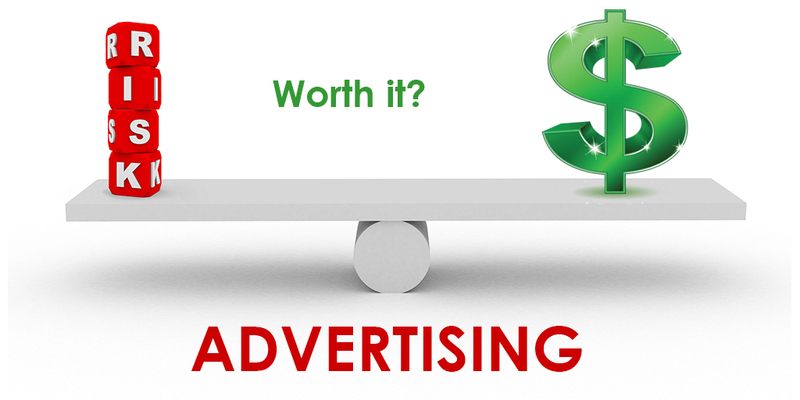 I’ve placed 96 ads over the past year and the cost has varied considerably. Thnks for the article. Now, authors get paid for pages reads, nto KU .01 when the 10 mark needed to be hit. And did you craft/tested etc. the 150 character description on your ad? I prefer sponsored ads, but continue to use both. I usually have 20 to 50 keywords and keyphrases, but try not to make them too general that they may grab the wrong audience. I put some effort into the ad description. Good luck with your ad. Great! From your article, your ads are for non-fiction books, right? Hi Chris, Just wanted to thank you for sharing and passing on such clear, wonderful info. Great work! 🙂 Jay.